The counselors at CFI provide comprehensive individual, couple, and family counseling for children, adolescents and adults. Working from a narrative therapy base informed by other collaborative methodologies, we work in response to a wide range of concerns including, anxiety, depression, life transitions, substance misuse, spiritual issues, and relational health. CFI operates on the principle that the people who come to us for help are embedded in relational systems and larger social contexts that influence their overall health and well-being. CFI therapists work with individuals and their family members from a narrative therapy base, which accounts for the interplay of the larger social context and relational environment on a person's mental health and functioning. With consent, therapists regularly include whoever is most relevant in the situation of concern, including family members, physicians, school personnel, clergy, and other important persons in the clients support system. At CFI we have a strong commitment to ensuring our counseling services can respond to the diverse contexts of people’s lives. All our counselors are mindful of how societal ideas about family, sexualities, genders, age, class, and cultural background significantly influence people’s experiences of life. CFI staff includes Clinical Faculty, and Doctoral and Masters level students who work under the direct supervision of the clinical supervision team. Our therapists typically hold Master’s degrees or are completing their coursework in marriage and family therapy, psychology, clinical social work or other mental health disciplines. 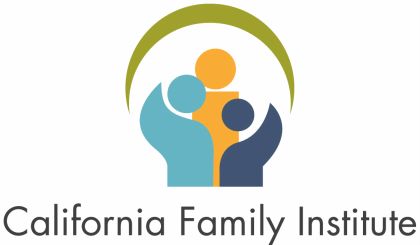 Typically, they are experienced in working with a wide range of clients in a variety of settings, such as mental health agencies, community agencies, crisis centers, and homeless outreach services before entering their training with CFI. To accommodate our clients' schedules, appointments are available during day and evening hours, Monday through Sunday. The fees paid by our clients are based on a sliding scale (between $40-$90) according to annual income and number of dependents. For information on fees please contact our office.